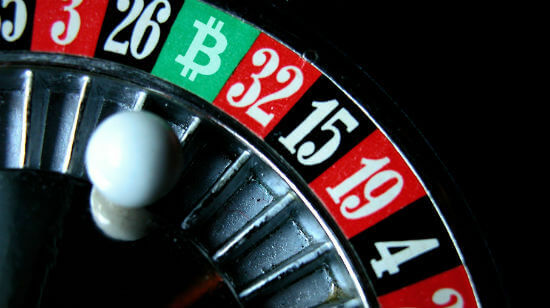 The online gambling industry has been thriving in recent years, increasing the number of casino operators looking into creating and bolstering new and exciting games on the market.Â Like land-based casinos, online casino developers are trying to keep up with the tough competition by creating thrilling new products that fulfill the highest expectations. Let us give you a quick look at what trended in 2016 and what we can expect in 2017 to emerge from the casino industry world. Mobile game revenue surpassed all forms of legacy gaming in the past year. More and more players are taking the opportunity to play on the go. With a myriad of bonus offers available to players who prefer to play on their smartphone and tablet, mobile gaming figures have soared through the roof. It comes as no surprise then, that many casinos are prioritizing mobile apps and making sure that their websites are fully-responsive to lure new players.Â Marketing costs for mobile gaming apps have indeed skyrocketed. It is pretty evident that the casino industry is taking the opportunity to reach more and more consumers. There is nothing quite as exciting as slotÂ games that have a multitude of features and casino bonus rounds. This was particularly evident with operator Net Entertainment, which presented a number of slot games in recent years that included more than one type of bonus or free spinsÂ feature. In the past, this casino operator has delighted players with jackpot games that entailed up to 4 jackpots. These additional features help set up the ideal story for the slot game and increase player engagement. The more prizes and rewards are up for grabs, the more likely a player is toÂ stay pinned to the game. The only downside to this type of game is that it can overwhelm beginners due to the numerous features and information. Most games in the not-so-distant past didn’t come with a narrative backing them up. This is particularly true when it comes to card and table games. Because the casino game industry is jam-packed with slots, the ones that do come with a narrative helps them stand out from the crowd. It is of crucial importance that the underlying narrative evokes memories and emotions that helps players connect with. For example, the NetEnt Rocks series featuring iconic legends Guns ‘n Roses, Jimi Hendrix and Motorhead helped players connect with memories of their youth. 2016 was the year for Live dealer social casino games taking the casino industry by storm. A live dealer game injected an element of authenticity to the casino gaming experience. Along with the ability to chat with other players as well as the dealer, it added a luxury touch to the experience. Players who want to up their game play from table games such as Blackjack, Roulette and Baccarat, tend to rise to the challenge that a live environmentÂ has to offer. Stay tuned to learn more about what’s up and coming in 2017, what games to expect in the upcomingÂ months and which trends are set to take the world by storm?